Serve your guests refreshing, thirst-quenching lemonade in this Carnival King 22 oz. poly paper lemonade cup. 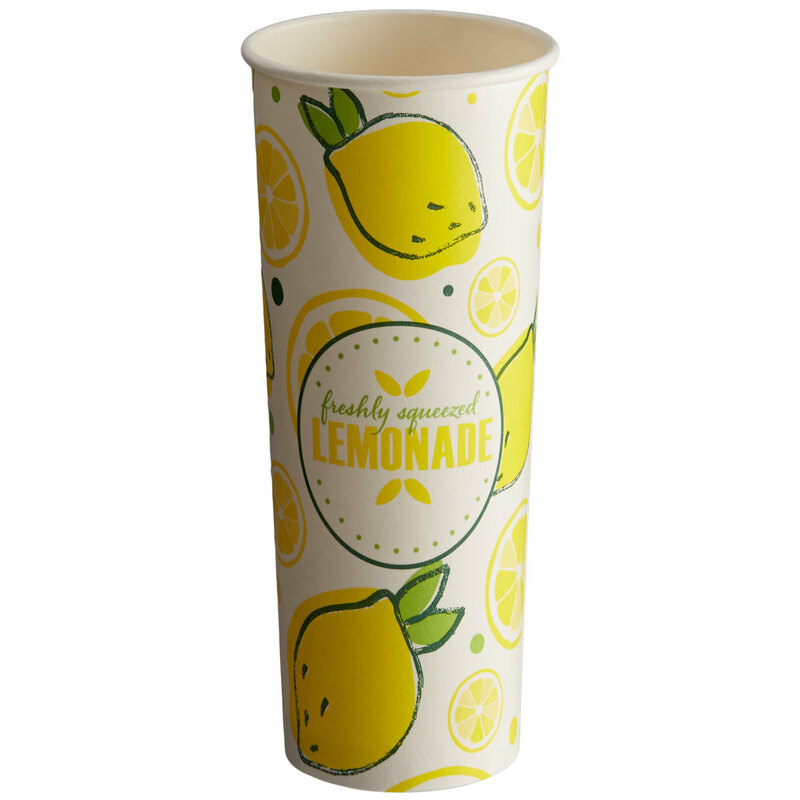 Aptly labeled with a "freshly squeezed lemonade" print and refreshingly bright lemon graphics, this cup is sure to create an appealing presentation at your concession stand, snack bar, amusement park, or kiosk. At 22 oz., this cup is perfect for serving lemonades, sodas, and other cold beverages. The durable double poly-coated paper stands up to condensation from your refreshingly cold drinks. Capacity (Practical Fill): 22 oz. Flush Fill Capacity: 24 oz.